This year’s event would see two races in two countries on the same day. 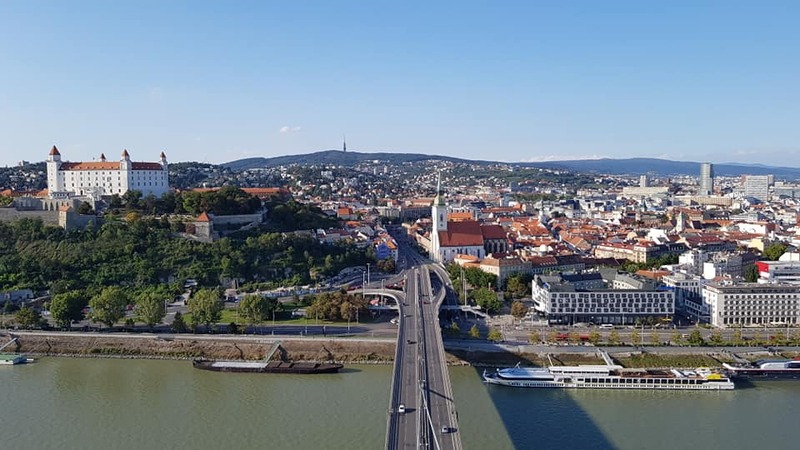 Due to building works at Vienna’s Donauturm meaning a race couldn’t be held there this year, the scene was set for a twin race format with equal points awarded across both races with the overall winner to be decided on a combined points total basis. A dual duel if you will! First up would be the AZ Tower in Brno, the tallest building in the Czech Republic standing at 111m high; the race would be 700 steps over 30 floors. 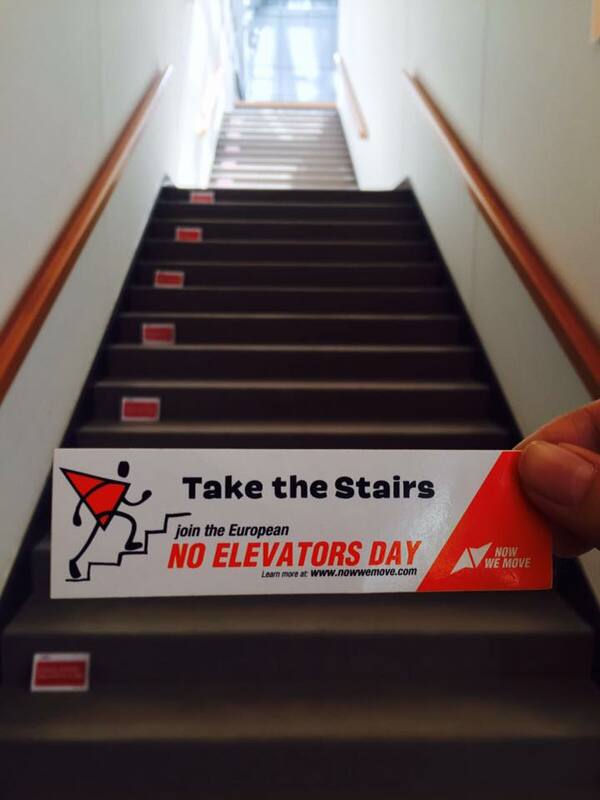 The left-turning staircase inside the main building has smaller steps than is typical elsewhere so some runners will three-step where they can. 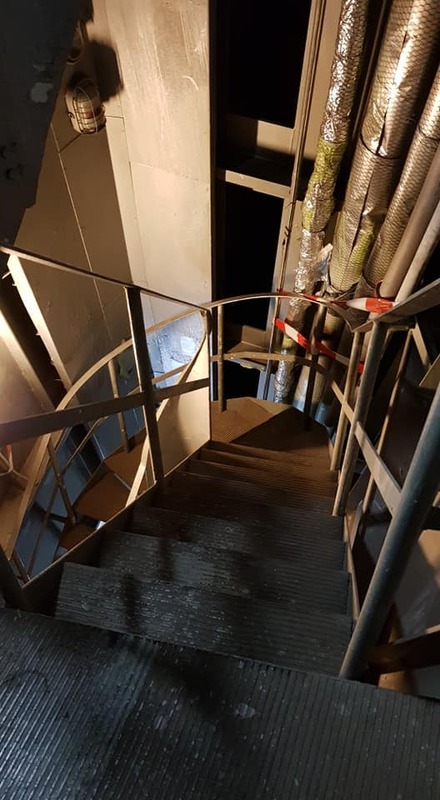 However, once outside onto the roof of the building there are some energy-sapping steep metal staircases to negotiate before the finish line definitely no three-stepping here! The TWA tour coach left the race hotel bright and early on Saturday morning headed for Brno. Race time was 10:00 hours. It was ladies first, with start order being determined by current world ranking in reverse order. Veronika Windisch was the first runner to stop the clock in under 4 minutes in a time of 3:58.83. This remained the fastest time until just the top two ranked women were left to cross the line. Zuzana Krchova took 15 seconds out of Veronika’s time briefly going quickest in 3:43.59 before Suzy Walsham went quicker again in 3:39.36 to take a comfortable win. On the me’s side of things were about to get interesting… Tomas Celko set the early pace clocking 3:05.78 although this was a below par performance from him as he had been ill earlier in the week. Martin Tomica then set a new personal best of 3:02.82 to top the timesheets but with four runners still on the course. Next across the line was sprint specialist Stefan Stefina but he was an agonising one hundredth of a second behind Tomas’ time. Colombia’s Frank Carreno was two seconds off the pace so with only two runners left, Martin was still leading.. Next to finish was World Champion Piotr L�obodzinski – he was close but not close enough; 0,3s behind Martin in 3:03.13. As new world ranked #1 it was only Germany’s Christian Riedl left to finish. As the results screen refreshed the times, Martin’s hopes were dashed and Christian was confirmed as race #1 winner with the only sub3 performance in a time of 2:58.39. Following the prize giving for the Open race category and the obligatory TWA team photo, it was back on the tour bus bound for Bratislava and lunch at the beach! Following lunch some of the runners retired to the race hotel for some rest prior to that evening’s UFO Tower race that would decide overall positions. It is worth noting here that should points be tied after both races, the UFO result would take precedence in deciding matters.Race time was 18:00 hours with start order this time determined by finishing positions from the earlier AZ Tower race. Once again it would be ladies first with the fastest runners from Brno departing last. 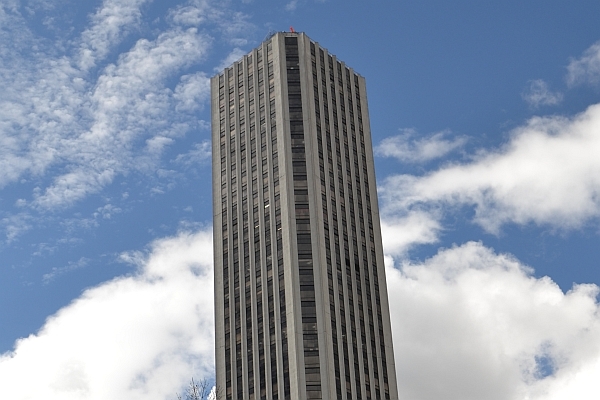 Although a shorter building, the UFO Tower provides a more technical challenge as the runners ascend 430 steps up the steep, slanting staircase inside one of the columns of the tower over 23 floors before finishing on the roof. First to break the three-minute barrier was Veronika Windisch in a time of 2:39.56. Newly married Iwona Wicha from Poland (huge congratulations to both Iwona and Piotr!) narrowly missed out on breaking 3min by just under a second. 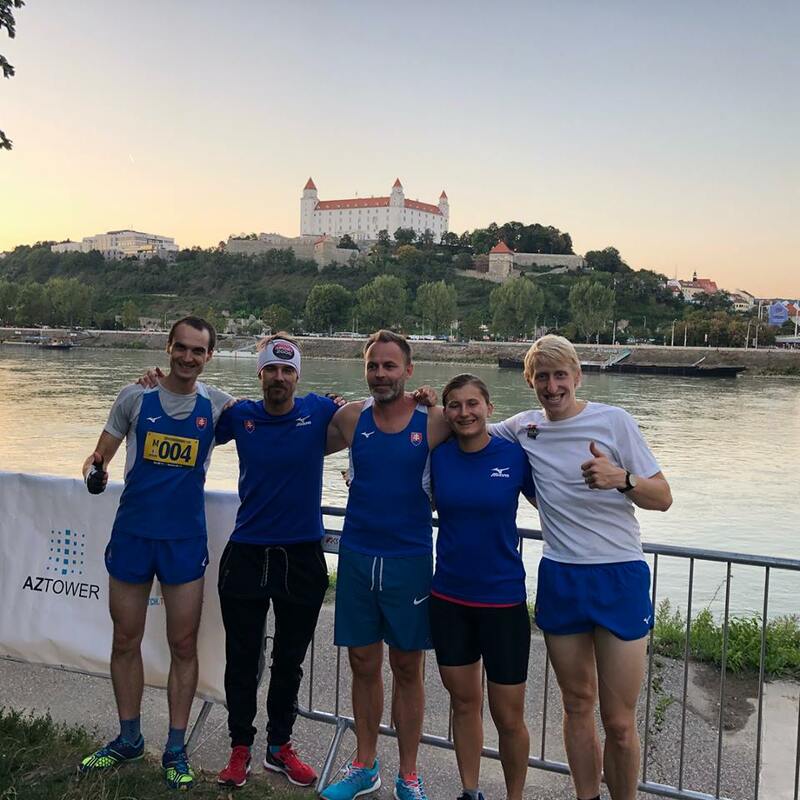 Slovakiai’s Kamila Chomanicova got within seven seconds of Veronika clocking 2:46.02.Once again however, it would be the last two runners, as per the earlier AZ Tower race, who would take the two top spots. Could Zuzana beat Suzy at one of the few towers that the Aussie athlete has a small chink in her armour? 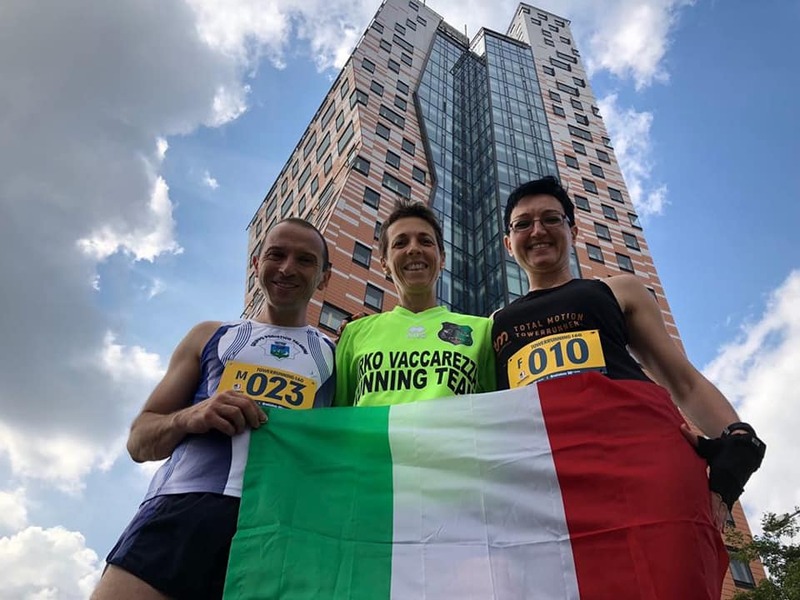 If she could, then points would be equal but Zuzana would be victorious; we were now only seconds away from finding out… Zuzana, although going fastest so far, could only manage 2:38.18, down on her 2017 time of 2:29.22. Suzy crossed the line and had made up almost 6.5 seconds on the 30-second stagger to take the win in 2:31.69. 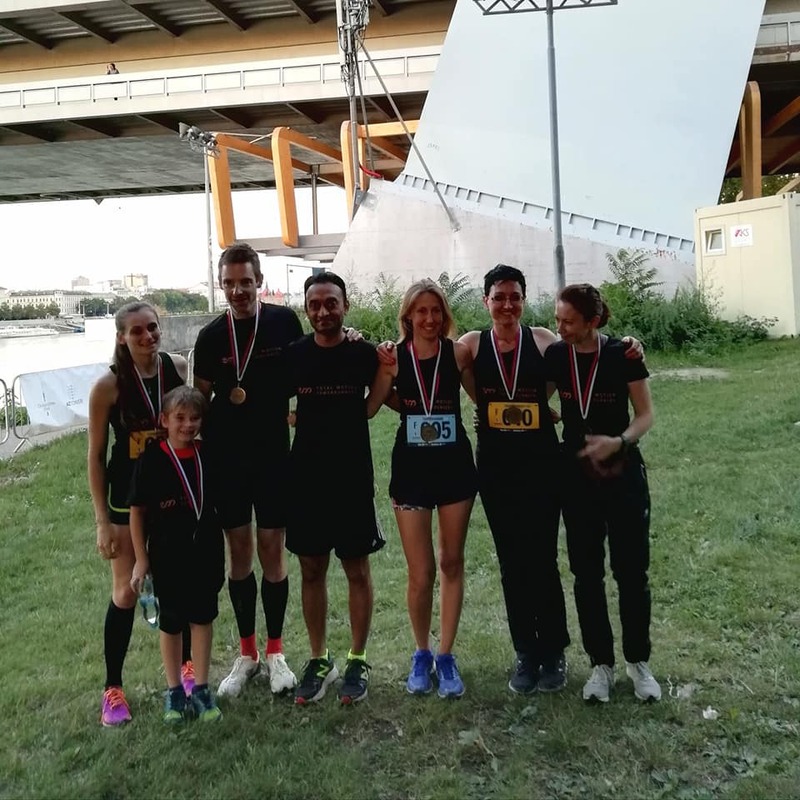 The top three podium positions were therefore a repeat of the 2017 edition, with the remarkable Suzy taking yet another title, Zuzana as runner-up and Veronika in 3rd.Iwona took 4th spot with Kamila rounding off the Top5 following a strong performance in the UFO race. Suzy continues to set the standard which the other female athletes aspire to and shows no sign of losing that hunger to win anytime soon! She is also generous with advice to both experienced competitors and newcomers to the sport – a true role model and a champion. With the ladies’ race done, it was time for the guys to race. 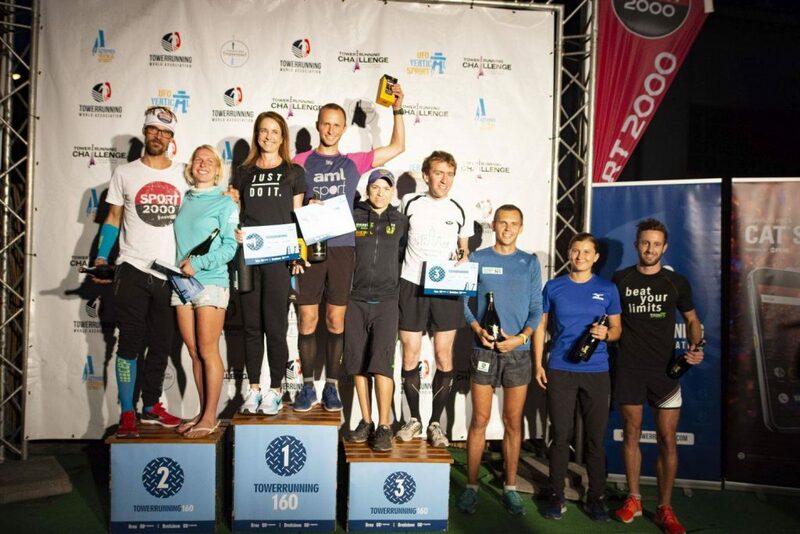 The unexpected results from the earlier AZ Tower race meant that the overall winner was far from being a foregone conclusion. 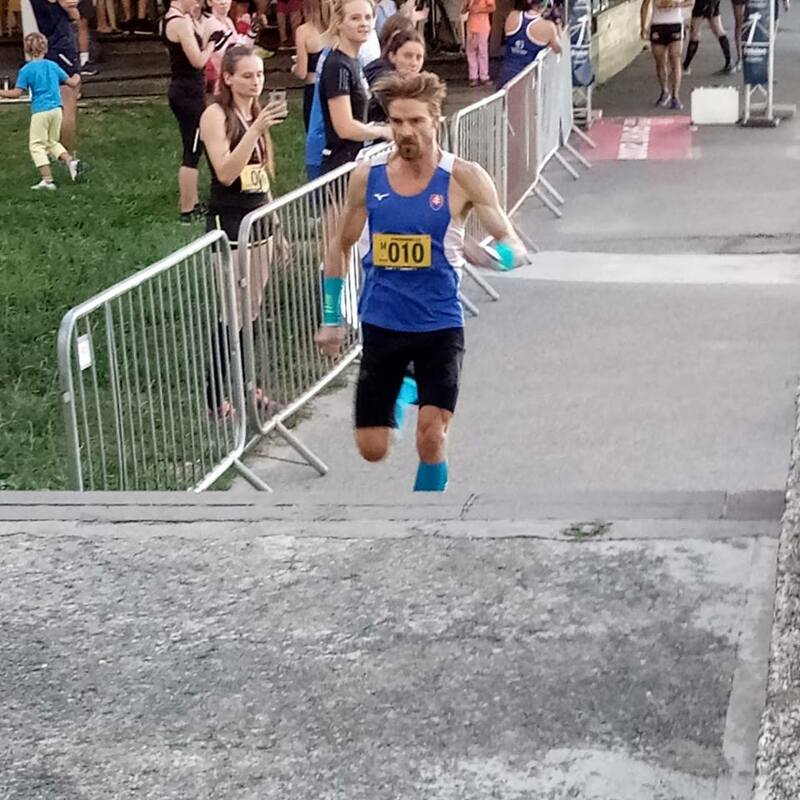 The first sub2 time came from Slovakia’s Michal Kovac (again, a newly married towerrunner; congratulations to both Andrea and Michal!). Next to top the timesheets was Austria’s Christof Grossegger, a sprint specialist and a first-time entrant at this event, in 1:53.22. This remained the fastest time until local favourite Tomas Celko stopped the clock in 1:50.47. Neither Frank or Piotr could get close enough to his time, so Martin would be the next runner to try and beat Tomas’ time. Martin went close, just 0,3s slower in 1:50.81, but importantly was now leading the overall standings with only Christian left to finish. Christian had never previously won this event and now just needed 3rd place to overhaul Martin in the standings and take the overall victory. Could he do it? As he crossed the line, the gathered throng of male runners huddled around the timing screen with bated breath the results updated, but Christian had only managed 6th place in a time of 1:55.17 a fraction over two seconds from taking the 3rd place he needed. Once rapid mental calculations of the finishing order had been done, it dawned on Martin he was the overall champion. To say he was happy would be an understatement! This was without doubt the biggest victory of his towerrunning career and a fantastic achievement – gratulujem! Tomas¡ had leap-frogged into the runners-up spot with race one winner Christian having to be content with the final place on the podium. Piotr finished just four points behind in 4th place. Piotr himself said he couldn’t remember the last time he not finished on the podium! This is both testament to Piotr’s fantastic record since entering the sport, but also the increasing strength in depth now on the scene. Christof Grossegger took a well-deserved 5th place, equal on points with Frank but beating him in the standings due to his superior UFO race position.